What is canine remedial massage? How may massage help my dog? What does a massage session consist of? Which dogs might benefit from massage? 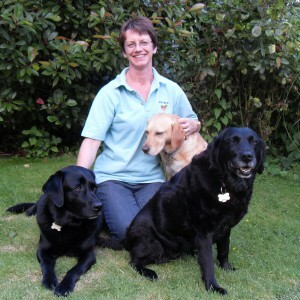 I trained at the Institute of Complementary Animal Therapies In Devon and hold a diploma in Canine Remedial Massage. Initially I undertook the training simply to be able to help my own dogs. I’ve had massage therapy myself for many years to help with back problems and when I found out it was available for dogs too it sounded like the ideal way to help two of my own three dogs, one who has hip dysplasia and another who has spondylosis – a problem in her spine. When I saw how well they both responded to their massage sessions I wanted to be able to offer the same service to other dogs and Hands 4 Hounds was born. © 2019 Hands 4 Hounds. All Rights Reserved.